But there is an escape, and this is it. This book is more than just paper and glue. It is a transporter--not for your body, but for your mind and imagination. Thirteen talented authors are at the controls, ready to send you into locales, situations, and worlds that you might never have even imagined. So, sit back, open this book, and escape your world! 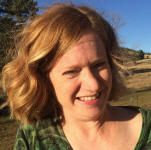 Kathy Bjornestad is a public school librarian from Wyoming who loves reading and writing. She has been a novel finalist in both the Colorado Gold Writing Contest and the Pikes Peak Writing Contest. In 2011 her novel, Legend, won a Wyoming Creative Writing Fellowship. She has published essays in Christian Science Monitor and recently received an honorable mention for the Neltje Blanchan Award. Her first love is young adult science fiction, but she enjoys writing in all forms. Joseph Horst received his Master's degree in English, with a concentration in Creative Writing, in 2005 from East Carolina University. His full-length stage play "Enemies", won 7th place in the 76th Annual Writer's Digest Writing Competition (Stageplay) in 2007 and received an Honorable Mention in the 2011 Ohio State University at Newark's Inaugural Play Competition. In 2012, Horst's ten-minute play "Calliope" was performed in the "8x10" Ten Minute Play Festival in Napa, CA. In 2013, his short story "Old Glory" was published in the inaugural issue of the Slippery Elm literary journal. I live in Columbus, Ohio, close to my two grown children and four grandchildren. I have had several stories published in small-press and college magazines such as The Sun, Cimarron Review, and Louisiana Literature. Michelle has found herself living and teaching English in Phoenix, Arizona. She often finds herself on the couch wondering which choices led her to this stage in life, when only two years ago she was waiting tables in Cleveland. She thinks about the important points in life: Her first kiss on the top of a rocket slide, her first love wearing baggy Jencos in the hallways of a junior high school in Sullivan, Ohio, her first heartbreak on her sister's green and white plaid futon, sad country songs playing from the boombox. She remembers the enlightening lessons her father showed her through his treatment of the homeless man he provided shelter for in the trailer out back behind the cornfield and acknowledges that it is him she often thinks about when she imagines what it is to be a genuinely caring person. She remembers the first moment she acknowledged the power of a smile and a buying into the belief of optimism. True optimism. The type of optimism that tells her things aren't so bad and people are good. She thinks about all of these things and is brought back to her reality of Phoenix, Arizona by her cat, Kissy Kit, climbing onto her shoulders and purring in her ears. From the relationship the narrator has with her father, the relationship between her parents, to the young boy taken out to sea, "Our Fathers" looks at the human condition and the different relationships we build with those around us and what, if anything, they mean. Michelle feels so privileged to have the opportunity to share her writing yet again with Scribes Valley Publishing. She thanks her mother, father, sister, and friends for the inspiration to continue the journey in her love of writing. Finally, she thanks you for reading. Brenda Watterson is a former career woman turned SAHM. Now that all four kids are in school she has coaxed her muse out of hiding and unleashed her dream to write. Some recent publications include, "Chicken Soup for the Soul", "Pooled Ink", “Rainbowtreekids.com", “Allparenting.com", "WOW Women on Writing”, “Write On” and a piece she wrote about step-parenting that was featured on the "Listen to your Mother” show. She lives in Algonquin, IL with her husband and four children where she writes until the school bell rings. Joyce spent her career in academia, where her writing consisted of scholarly documents suitable for pedagogues and professional students living in Ivory Towers. Now she writes stories for anyone living anywhere, about a college with Bible for its middle name during a time of war (with a nod to Shirley Nelson). John is new to writing fiction and forever grateful to Scribes Valley for this story’s selection. Two other original pieces will be published in 2015. Come November’s end, he will again complete a NaNoWriMo “novel.” Before this literary life’s phase, for five years he had tours in Iraq and Afghanistan as a US Department of State’s senior governance advisor. For twenty nine years prior, he served as a county manager, department head, and public servant in North Carolina. Born in Brooklyn, raised on Long Island, schooled at Notre Dame and Syracuse, with significant detours to Mexico City and Little Rock, Arkansas, he is most obviously a senior citizen. He resides in Wilmington, North Carolina, awaiting the welcome baby-sitting duties associated with the birth of his third grandchild in the New Year. I am a teacher and a lifelong student, a daughter and a parent, a caregiver to my 98-year-old father and a recipient of others’ care. I am a dreamer and a doer, an optimist and a realist, a lover of M&Ms and daily workouts on the elliptical. I am a thinker and a writer. As a part-time faculty member of the University of Pittsburgh’s English Department, I work as a consultant at the school’s Writing Center. I also teach Freshman Programs, a course that introduces students to the University and the city. My work, both fiction and nonfiction, has appeared in DreamquestOne (online—first place); It’s All Talk: Newsletter of the Osher Lifelong Learning Institute at Carnegie Mellon 2013 (book review); New Slang” A New Literary Voice by the Women and Girls of Pittsburgh” (online); Quality Women’s Fiction; Ghoti Online Literary Magazine; First Line Anthology; Take the Path (Scribes Valley Publishing—first place fiction “Wednesday Night Girl”); When We Are (Scribes Valley Publishing—second place fiction “The Visit”); Visiting Elsewhere (Scribes Valley Publishing – third place fiction “Push ‘n Shove”); Welcome to Elsewhere (Scribes Valley Publishing – second place fiction “Snow Woman”); The Road to Elsewhere (Scribes Valley Publishing – third place fiction “Ma Bates”); The Reading Place (Scribes Valley Publishing—finalist fiction “Dismissed”); SLAB: Sound and Literary Artbook; Pulse: Voices from the Heart of Medicine (online and print); AARP Bulletin (online and print); Healthy Roots (Forbes Health Foundation and Hospice); The Jet Fuel Review (Lewis University’s online literary journal); Writer’s Relief (online); Chicken Soup for the Teenage Soul (1997); and the Pittsburgh Post-Gazette. Simone Hanson is thrilled to have her third short story published by Scribes Valley. When not procrastinating, she is at work on her second novel. She now has an agent, so with any luck one of her books may be in print one day. She lives in Roswell, Georgia with her husband and two of their three children. The oldest is now living in Athens, Georgia where he is having a lot of fun at college. Hopefully not too much fun. Evan Guilford-Blake's prose and poems have appeared in numerous print and online journals, as well as in several anthologies, winning 19 awards. Noir(ish), his first novel, is published by Penguin. Holland House, a UK-based indie press, has just issued American Blues, a collection of his short stories in hardcover, trade paper and electronic editions. His plays have been produced internationally and won 42 competitions. Thirty are published in acting and/or trade editions. He and his wife (and inspiration) Roxanna live in the southeastern US. Click Here to read his newsletter, and more information is available HERE. Paul Andrews was born and raised in the mountains of rural Pennsylvania. He has been writing short stories, novels and novellas for over twenty years. While his heart lies with historical mysteries & thrillers, he has also dabbled in science fiction, romance and even the paranormal. The Man Who Would Not Die is his first epublished novel, but he has many other stories to tell. Paul has a BS from Penn State, a graduate degree from Rutgers University and spent many successful years as a R&D project manager. After working for a time in Manhattan and Washington D.C, he slowly migrated south to warmer climes. He now works, lives and writes in North Carolina with his wife, their two children, and two cats. Marlene Olin was born in Brooklyn, raised in Miami, and educated at the University of Michigan. Her short stories have been published in The Saturday Evening Post online, WIPS Journal, Vine Leaves, Biostories, Emrys Journal, Poetica, Arcadia, and The Jewish Literary Journal. They are forthcoming in Edge, Ragazine, The Podras Review, and Meat for Tea. Two of her stories will be anthologized in collections next year. She has recently completed her first novel. Herb Wakeford is a semi-retired CPA who has lived in Raleigh, North Carolina since 1970. He has always enjoyed writing, but his earlier efforts were found mostly in business publications. Herb is now writing short stories, poetry, humor and mysteries. He also teaches tax courses for the OLLI/Encore program at NC State University and participates in Encore’s Writers Group. He is a native of Minneapolis and an honors graduate of the University of Minnesota. Herb and his wife Molly have four children and seven grandchildren, none of whom are accountants. Dana C. Smith is the author of the non-fiction stories Season of Melancholy and I’ll Love You Forever, or Until the Cameras Stop Rolling published in the on-line magazine division of Ladies Home Journal. She is also the 2007 winner of the non-fiction category for the annual summer writing competition sponsored by the Vanderbilt University Medical Center magazine House Organ. She has studied at the Writer’s Loft at Middle Tennessee State University and began her MFA studies in 2013 at the University of Arkansas at Monticello. 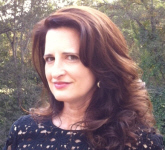 Dana was recently awarded a scholarship to Spalding University to complete her MFA degree. Dana currently works as a hospital pharmacist at Vanderbilt Children’s Hospital in Nashville, Tennessee.